Well, I’ve been busy for awhile and hadn’t been able to post anything, but I’ll try to send something out more regular now, as there are always many interesting Pulp items being sold and bought. So, without further ado…. 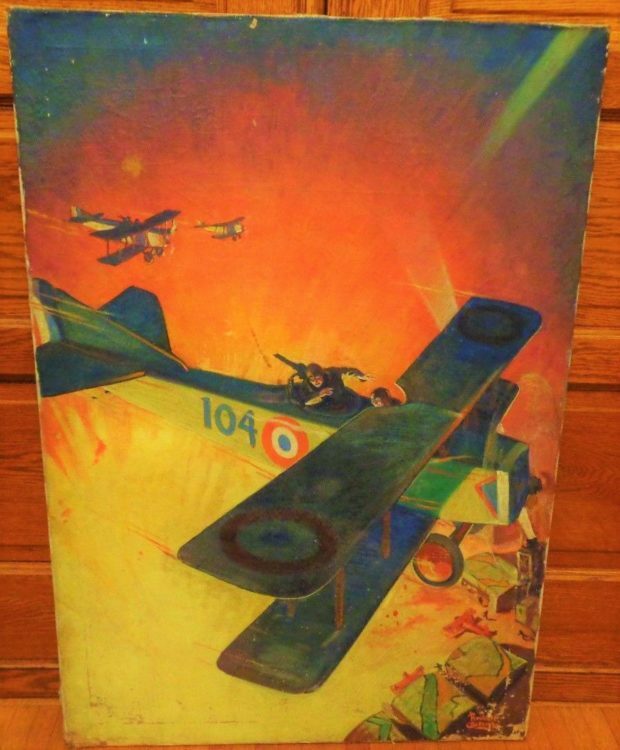 A fine Original Pulp painting by Rudolph Belarski (and) recently appeared on eBay, Aces (June 1930), and sold for $4,300.00, with a single bid on its last day. “This Is A Rare Find! 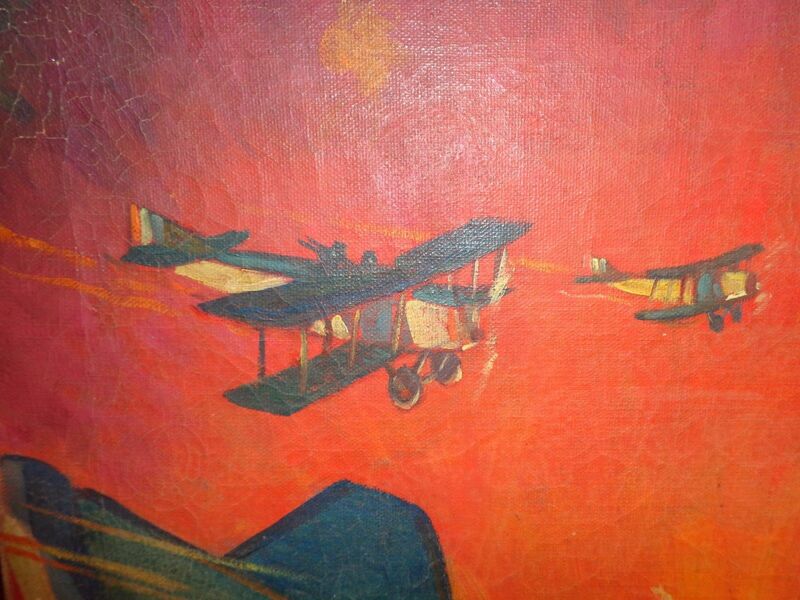 Old Vintage Original Oil on Canvas Illustration Art Painting of WW 1 Planes in an Aerial Bombing of a German Airfield. 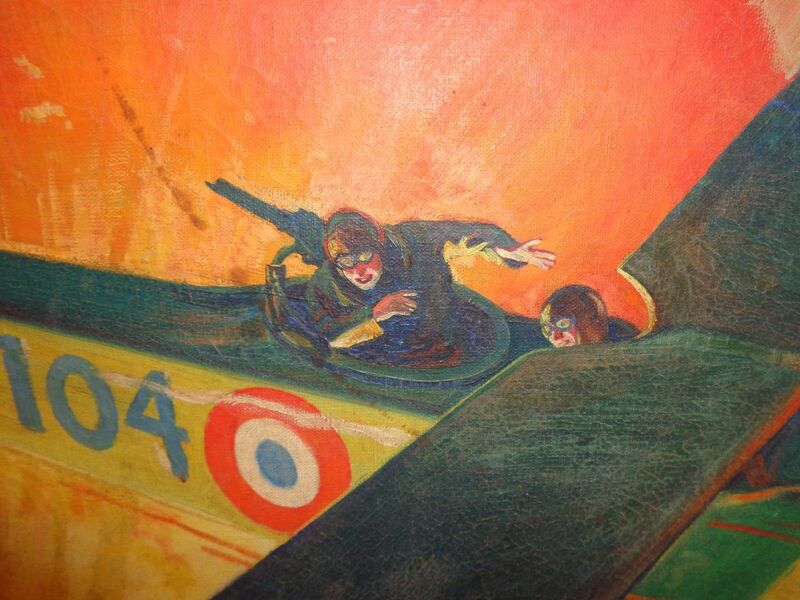 Shows open cockpit propeller biplanes in combat. Painting by listed artist Rudolph Belarski (1900-1983). He was know for his many pulp fiction illustration art paintings used on magazine covers. Painting is signed lower right & dated (on the top reverse stretcher frame) “Aces 1930″…. signed & dated, has age paint losses in several areas. Galactic Central and he updated his information – DLS). 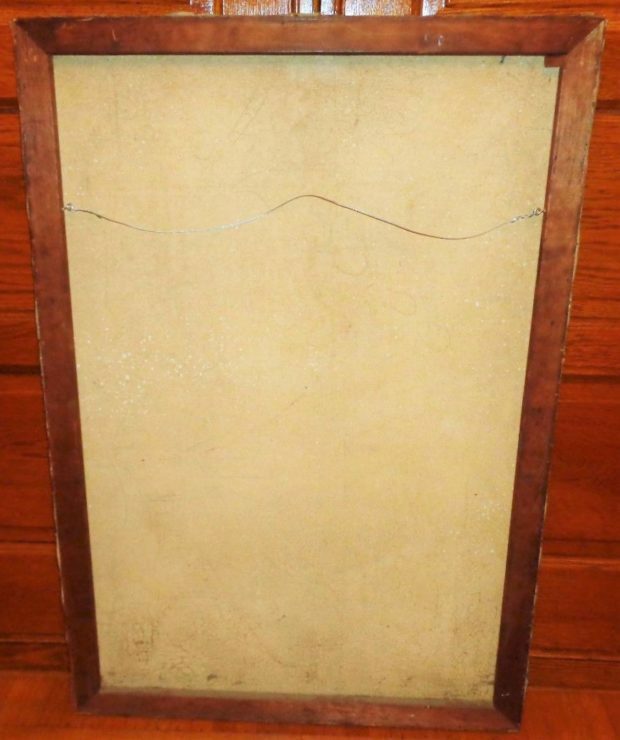 Unframed, measuring 40-1/4″ high x 27-3/4″ wide. 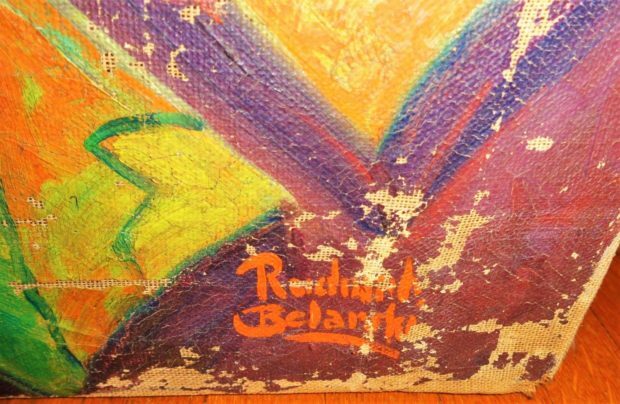 By this time Rudolph Belarski had been offering his painting for the Pulps exactly 2 years (since War Stories – June 21, 1928). 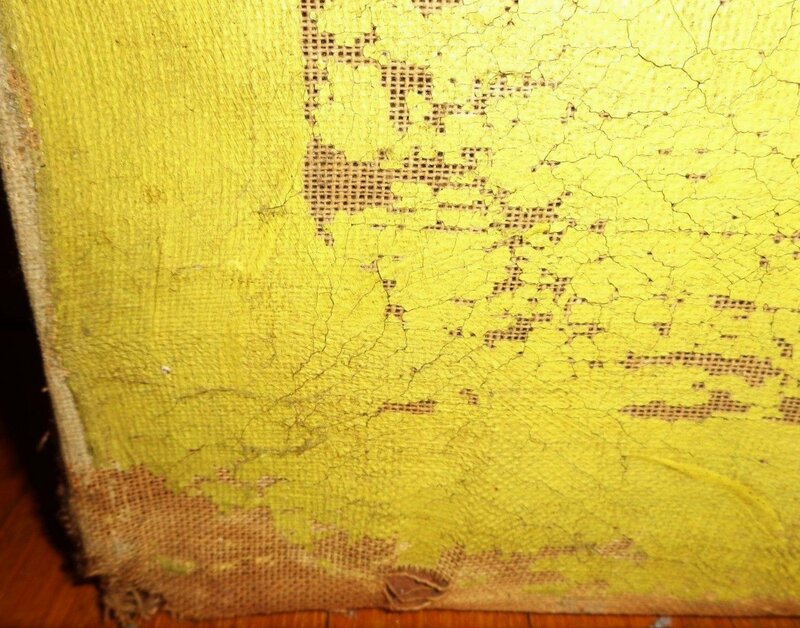 He would enjoy a long history of painting for them up to the year 1960, according to the FictionMags Index. 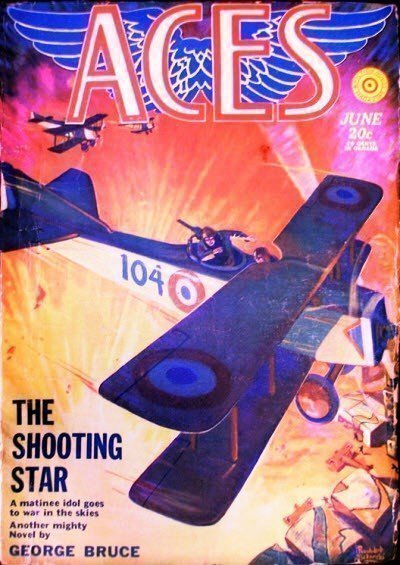 “The Shooting Star” by George Bruce and “Early Bird” by Joel Rogers were the only two prolific authors in this issue. Bruce really came into his own starting December 1927 and by June 1930 already had 80 long published stories (a lone March 1920 story in Blue Book Magazine would make it at 81).